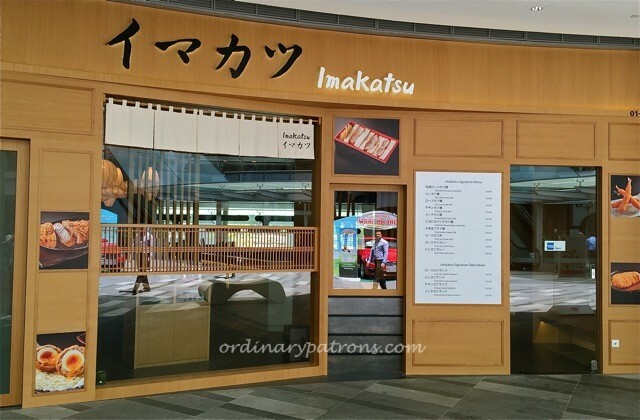 Imakatsu is the latest addition to the long list of Japanese restaurants at Star Vista. 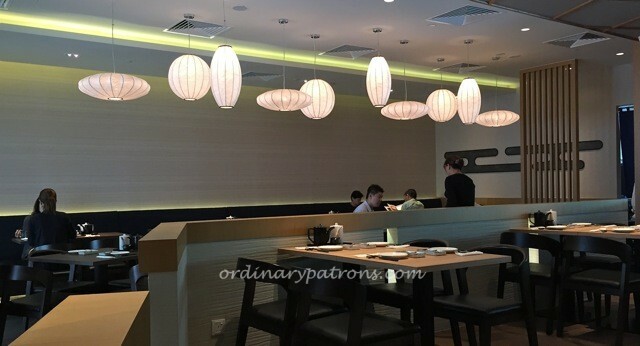 It is a tonkatsu restaurant from Japan with a simple and zen-like outlook and decor that is very calming. Being focused on only one type of food, i.e. 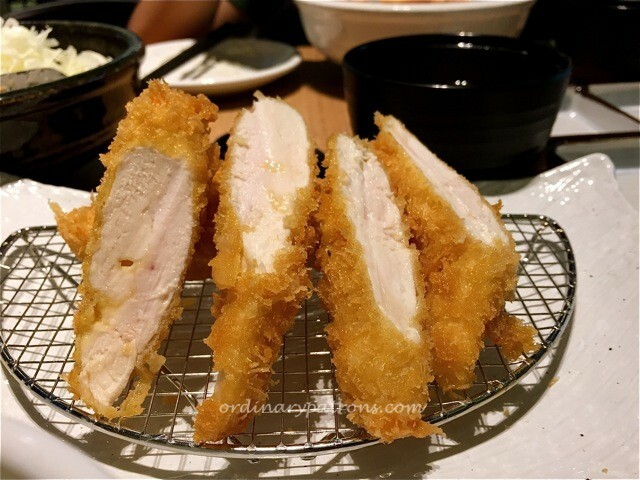 tonkatsu, Imakatsu’s menu is also simple and specialised. 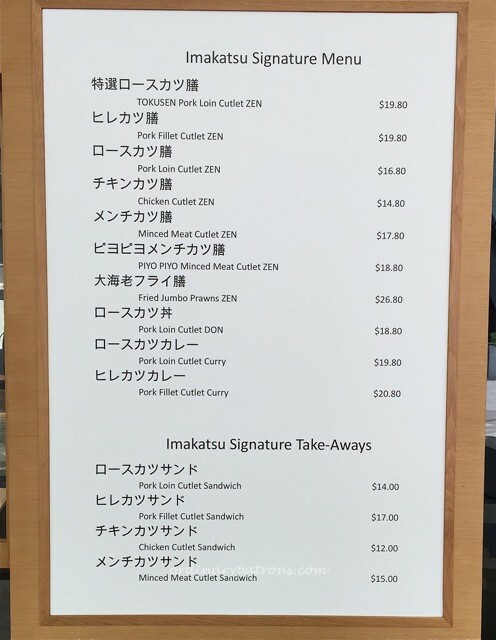 We ordered the chicken tenderloin curry ($17.80) and tenderloin chicken ($14.80). The meal started with a large heap of chopped cabbage. 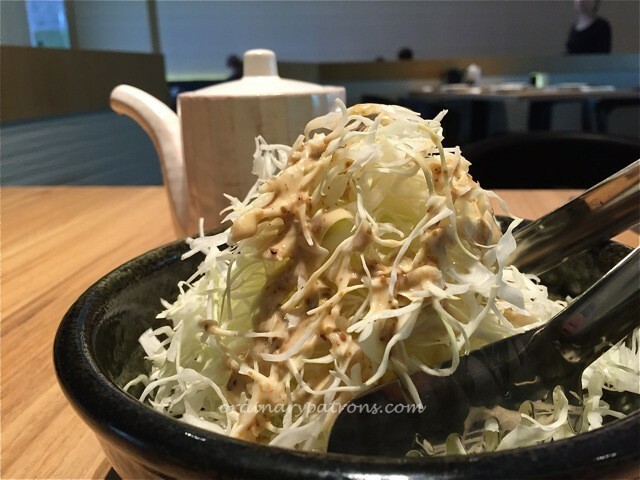 The sauce that for the cabbage was very fragrant with strong sesame seed overtones. The staff were very prompt in re-filling our plate with the cabbage. 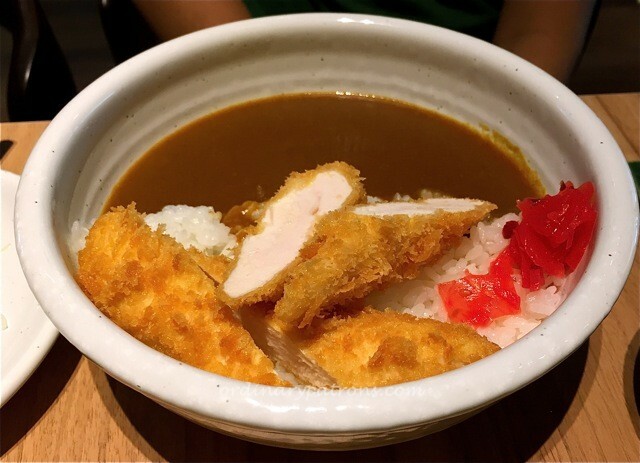 The katsu items were very well done. The batter was light and evenly coated around the meat. The presentation of the dishes was as good as they appear in the glossy menu. The rice used was of a good grade. 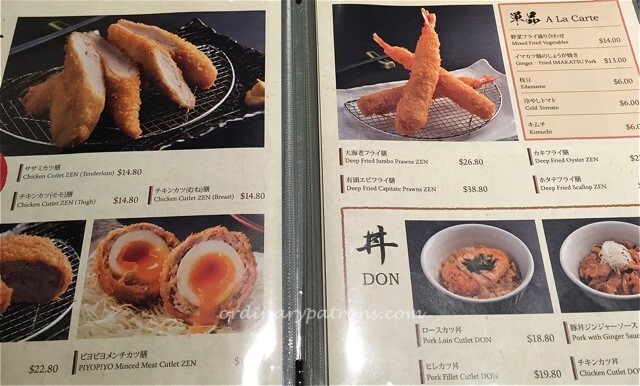 In the competitive environment of Star Vista with its many Japanese F&B outlets, you can find tonkatsu in quite a few shops here. 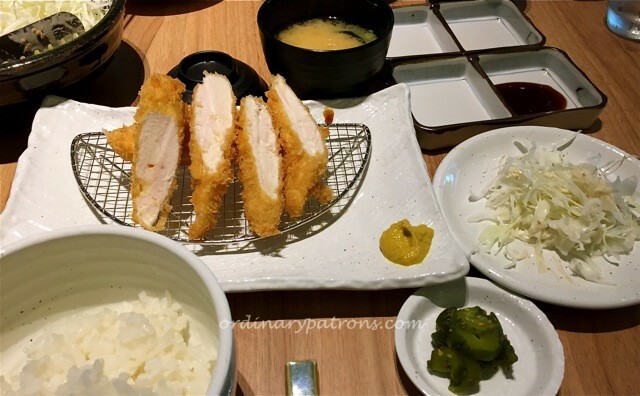 The tonkatsu and dining experience at Imakatsu is a notch above what you can get at the other places. The prices are also probably higher but we believe the quality of the ingredients and attention to details are worth appreciating. you are right – there are so many choices nowadays. I am very curious about what Dubai is like. So far I have no opportunity to visit.